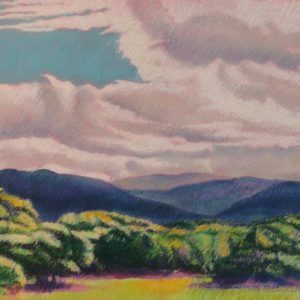 Merrilee Drakulich has been a professional artist for more than 40 years, painting in oil and in oil pastels. 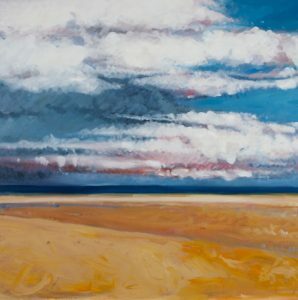 Her paintings are derivative of the landscapes and seascapes of Ireland, France, Germany, Japan, Jamaica and the U.S., and have been made available through exhibitions and art galleries throughout North America, the West Indies, and Europe. Merrilee Drakulich was born and raised in the mountains and valleys of northeastern Pennsylvania. She earned her Bachelor of Fine Arts from Indiana University in Bloomington, Indiana, and her Master of Arts in Studio Art from California State University in Long Beach. Her involvement with the landscape began after college during the 16 years she lived in Jamaica, West Indies. Intense Caribbean sunlight afforded her an opportunity to develop an interplay of light and shadows that became central to her work. In the early l990’s, she left Jamaica and accepted the invitation of Atkins Fine Art in France where she lived and painted the landscapes of the Auvergne, noted for its vast areas of open spaces and golden sunlight. In 2001, she had the opportunity to live in Tokyo. 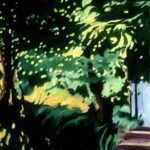 This gave her new inspirations to paint a series of landscapes based on her experiences as viewed throughout Japan. Still retaining a minimal and representational approach, she has an almost obsessive fascination with clouds, the sea, the land and objects within the landscape. 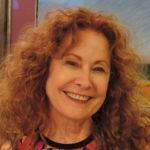 Since coming home to reside and paint again in northeastern United States, the combination of traveling through much of Europe, living in Jamaica, France, Japan, and the United States, and teaching painting and art history has led to her very personal perspective of expression. Since 2007, Merrilee resides in Barrington, New Jersey with her husband, where she has her studio. You can visit Merrilee’s website HERE, like her on Facebook, and reach her at merrilee.drakulich@gmail.com.